We are having some crazy weather here – like many other places. Strong winds with above-seasonal temperatures overnight. At 7:00 am this morning it was 16C, the expected high tomorrow only 1C. 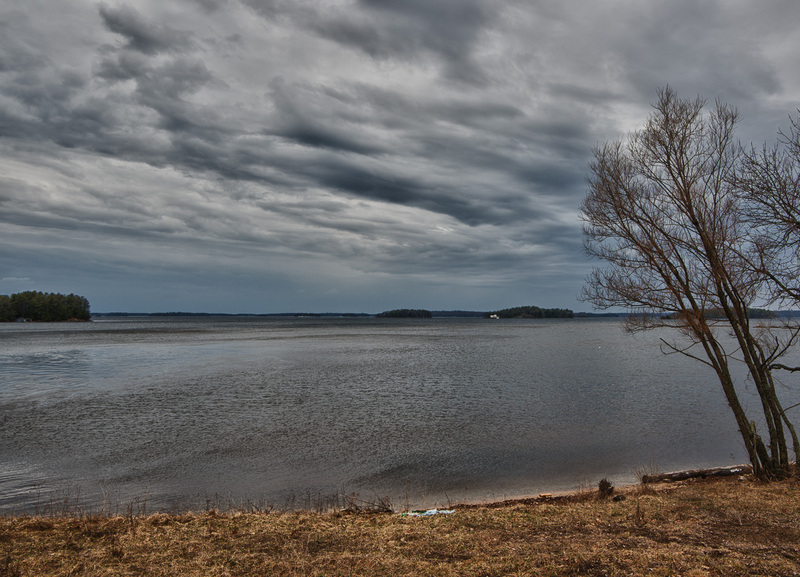 It was all enough to make the ice on Lake Muskoka disappear! Look at the two images below; essentially the same view separated by three weeks. 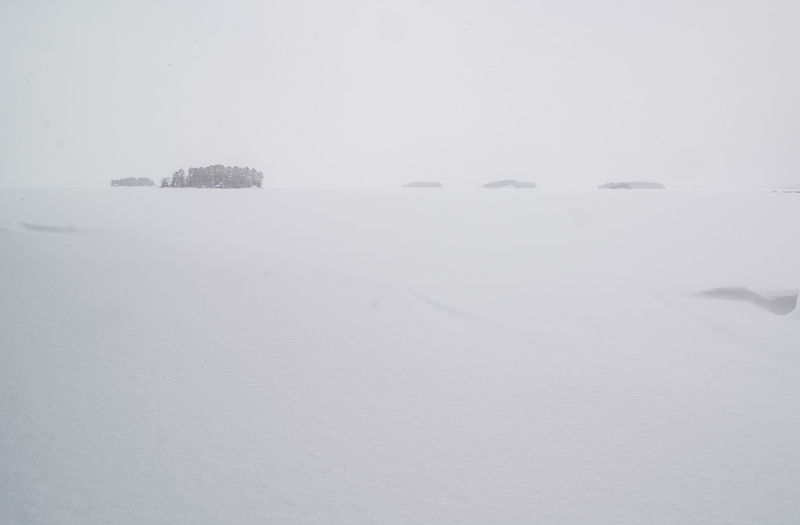 It got up to 8 degrees C today, and really quite lovely, but we have some work to do to get all this ice and snow out of here. Other than today, our high temps have been -2 or so with night temperatures 10 degrees below that. 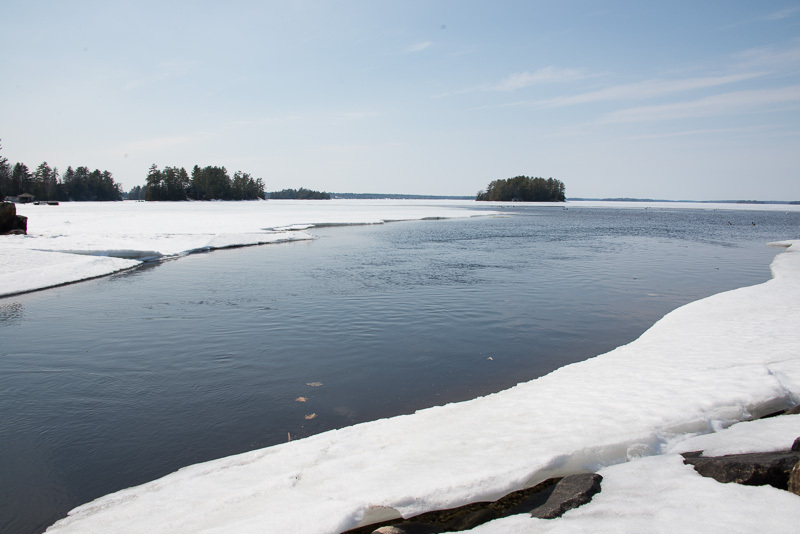 Lake Muskoka is still totally ice-covered, so the cottage awaits. Lake Muskoka at Hoc Roc river. It looks like temps will be above freezing for … well, after tomorrow. But, the ice is still very thick; hope so – we have to go price an island property on Lake Jo tomorrow, and we have to go by snowmobile. I might wear a CO2 lifejacket I got as a sailboat gift at Xmas … just for warmth of course. 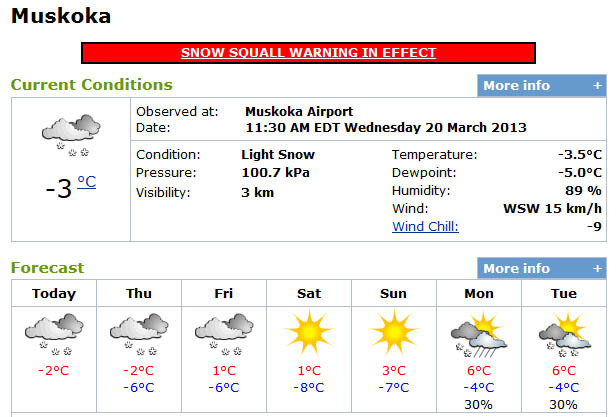 There is a way to tell that it is spring in Muskoka. It is subtle, but encouraging because, you may know that we still have lots of snow here in Muskoka and we need encouragement. But we have light, more light, and I love light! Steve and I walk the dogs late every afternoon. Until fairly recently we have had to outfit them with their special Muskoka walking lights. They fit on their collars and blink. Blinding for us, but safety for them. We march down by the cottages, leashes in hand. When we get to Chamberlain’s TimberMart, we can let them off their leashes. Chamberlain’s is gracious enough to let us walk our dogs offleash. And they have a wide dirt road, and a large forest. Good for everyone! We are very proud of the fact that we walk our dogs daily. Caesar says that dogs need exercise first, discipline second and love third. So we are on it! 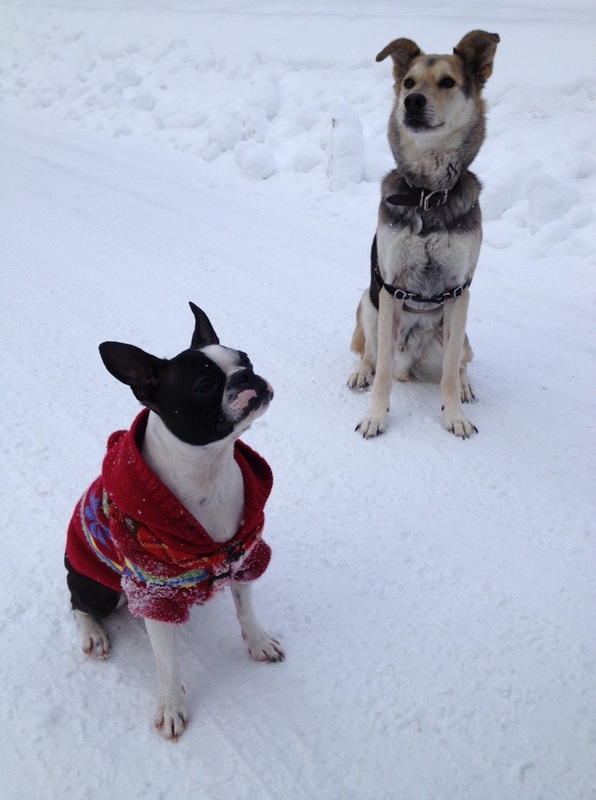 Bentley is a little Muskoka boy through and through, and Askim is from Iqaluit. I will fill you in, in another post. Our dogs seem to love living in Muskoka and they look very fit and healthy. I, on the other hand, look a little less fit. Don’t worry about me, I am in good health, but my tummy just won’t budge from under my belt. It finally dawned on me why the dogs look so slim and fit and I don’t. They are constantly running in and out of the forest and playfighting all the way. So – I am sure you can guess what is on the agenda for me. Steve?? ?